Are you are still trying to figure out how people save a ton in the grocery & retail stores ? Did you know that you can use a manufacturer’s coupon and a store coupon on the same product? Today printable coupons are everywhere and accepted at major retailers. Manufacturer’s Coupons are different from in-store coupons and online coupons, and its not specific to any retail store, and can be combined with the local store’s offer. In Store Printable: You can get $5 home depot coupon by signing up for at HD advantage. 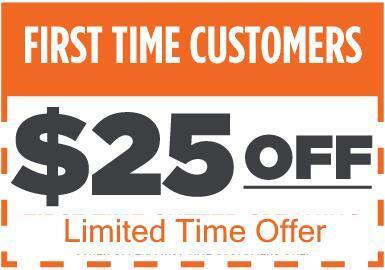 The offer will arrive instantly via mobile valid in Home Depot store only. Printable Coupon : One coupon per customer per day and cannot be stacked with any other coupon. Tax Coupons : Big Savings on tax return preparation. To redeem a books coupon, click on the coupon and then add the item to your cart. Browse select Kindle books for $2 each from romances, to mystery & thrillers, and more. Deals are valid through the last day of each month. great assortment of hardback books that are only $5 each! Saves you money with rebates and coupons in auto centers, Save on oil changes, AC recharge services and even tires. Up to 50% Off : NEW Dansko Markdowns! save up to $60 on ABEO 24-7 styles featuring customized 3D3 Orthotics! Always stop by your local gas station on monday mornings before the newspaper carrier comes back to pick up the unsold news papers. Most stores willingly give any inserts because they only get reimbursed for returned newspapers, not coupons or ad inserts. Always try to combine the sale with a coupon. Always clip and organize your printable store coupons. Please don’t make a copy of printable coupons. Its not ethical! Stores will accept printable coupons in black and white, show it on mobile or smartphone apps! don’t ever waste your ink printing coupons in color!